I am a post graduate sport scientist, cycling coach and published academic with many years experience working with bike riders of all levels. As a coach I have worked for British Cycling for a number of years before going on my own. I offer all levels and types of coaching including cycling training camps in Italy tailored to specific to individuals, groups and teams. I am based both in the UK and Italy. I offer online and 1-1 cycling coaching to riders of all levels and also run cycling training camps in Italy tailored to specific to individuals, groups and teams. I have worked within professional sport for the last 14 years and have amassed a great deal of experience working with a number of high profile sports teams and athletes. 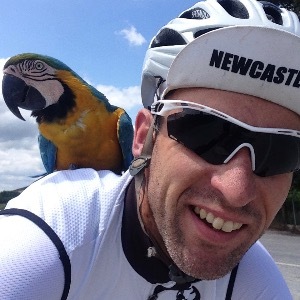 I was a full-time member of staff at British Cycling working as regional coach within the north east. I assist in the running of the Triathlon England regional elite academy as a cycling coach and sports scientist. I have also worked with SAFC football club as performance analysis with their U23 & U18 athletes. With all of this experience I feel I have a great insight into what it takes to bring on athletes to reach their goals. I have presented research at the ‘World Congress of Cycling Science (WCCS)‘ in Leeds (2014), which was well received. The study looked at how a bike fit can influence a key performance indictor when cycling at different intensities, ‘The Influence of Positional Biomechanics on Gross Efficiency in Cycling’. I prefer to work with athletes who use a power meter. Success. Coach Jon Bateman has been notified of your message.